Crisp white finish, ease of use. May be too small for very large plates - asides from that it can't be faulted. The clean looking Elgento E24001 features a pristine crisp white finish, and is operated via 2 dials located on the right hand side of the microwave. This simple elegant control system will suit those who struggle with technology. In terms of volume, Elgento have provided a reasonable 17 litre capacity, as well as a considerable 700w power output. It may be a touch too small for the largest of dishes, but for heating and cooking everything else it will be ideal. 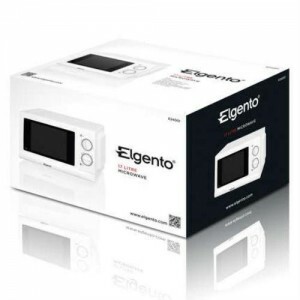 Our tester found the Elgento E24001 to be easy to use, clean and thought that it offered good value for money. 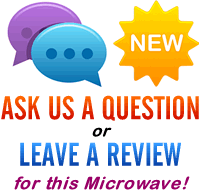 If you're after a cheap white solo microwave, then you can do a lot worse than to look at the Elgento E24001 - it works well, and offers good value.